Nikon introduced D5500 in January 2015 as a new DSLR camera that takes accurate and detailed pictures that showcase an elegant appearance. It comes with a powerful processor and sensor while offering a video recording system and even support for a variety of different filters. 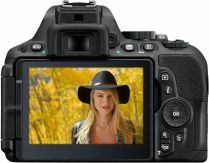 The camera works for photographers who are looking to get an entry-level DSLR camera that is not too hard to use. It is a relatively basic model in terms of how well people can control and work with that camera. The 24.2-megapixel sensor on the Nikon D5500 is a critical part of what makes it an attractive model. It uses no optical low-pass filters to ensure that the pictures are sharp and detailed enough for many uses. It uses the EXPEED 4 image processing program to manage the data that gets into the sensor. It helps to create a cleaner image that is sharp and works on many light settings. It especially does well with ISO levels of up to 25600. It operates in many low light settings to create clear images and can work with a flash feature to increase the lighting in a scene. The carbon fiber body of the Nikon D5500 produces a lighter weight that is easy to carry around. This lightweight body ensures that the camera will be easier to use. It is also 14.8 ounces in weight so it should be easy to carry around. The grip has a slight bulge for use on one’s right hand. The shape is also curved well enough to establish a stronger look that will allow for a stable and steady shot. The top control system uses a mounting spot on the very top to mount compatible flash and camera features. It can even link up to a microphone for video purposes. The left-hand size of the camera uses a series of ports to hook up different peripherals through an HDMI link among a few other interfaces. The ISO control works with totals from 100 to 25600 and can be controlled through the knob on the top. The shutter speed may be adjusted from 1/4000 to 30 seconds through the control mechanism. The TTL exposure metering system works with a 2016-pixel RGB sensor. The metering can be adjusted from a center position to a matrix or spot option. The user can control the AF feature to go from 9 to 39 AF points, although it will take longer for the focusing feature to work if more of these points are active at a given time. The digital viewfinder on the rear of the Nikon D5500 offers about 95 percent coverage from a horizontal and vertical standpoint alike. An eye-level viewfinder may also be used to get a clearer idea of what the image will look like. The sensor does well with identifying the image for the most part, although it is recommended that the traditional viewfinder is used to make it easier to take a good shot. In terms of shooting videos, this also has a good setup. It can shoot 1920x1080 images to create a more detailed approach to creates beautiful images. The camera can also work with an internal microphone although it is best for the user to add an external microphone when trying to record anything off of it. It also has a Wi-Fi link installed in its body. This Wi-Fi link is made to create a stronger connection to different mobile devices. In particular, this can connect to a computer without wires to get new software updates or to share photos or videos to various social media accounts. It works with a setup similar to what comes in many smartphones or tablets. Except that, this is clearly a more professional and detailed option for users to try out. The images generated by the Nikon D5500 are made to be capable of managing even the lowest light settings. The long exposure noise reduction feature does especially well in creating a steady shot. It does especially well with the Nikon F series of lenses. The 24.2-megapixel pictures that are taken by the camera will stay beautiful and intact as one uses the camera. It is used properly to create a better total appearance on a photo that can be adjusted to be on a larger surface if needed. The Nikon D5500 uses an EN-EL14a Li-ion battery. It can take about 820 shots on a single charge. It links to an adapter to charge it up, but an MH-24 quick charger may also be used separately. The Nikon D5500 has plenty of positive and negative points for users to see. The range of ISO coverage offered by the camera is extensive. The battery lasts for a long time. The extensive variety of focus points works to keep the AF feature in depth and capable of working on more parts of an image. The viewfinder is clear enough to use in most cases. The fine tuning process for using the AF features can take a while to manage. There are no image stabilization features on the camera. There are no environmental seals to keep this from being at risk of taking in water or other harmful outside materials. The range of lenses that can be used here is not as substantial as what one might normally find. 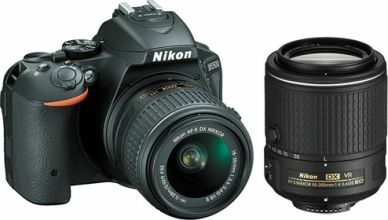 The Nikon D5500 is a choice for newcomers to the world of photography to take a look at when finding a great DSLR camera. This new option is made with a design that is easy to cover and use. It is also easy to control so that one can create a better tone when used well enough.